Note: An earlier version of this article appeared in error whilst still being drafted on-line, as a result of a mistake on my part and to my own embarrassment. Once again, my apologies to Linden Lab and readers of this blog for my carelessness. It is something Second Life users have long wanted / wished for / desired / demanded: an increase to the basic land impact (or prim count, if you still prefer) available for regions. And now the wish is being granted – although word came out a lot sooner than the Lab had anticipated (thanks in part to my aforementioned mistake). All of the changes filter down to the parcel level, according to parcel size. The changes to Mainland regions were made during the regular weekly deployments on Tuesday November 1st, and Wednesday, November 2nd, with official confirmation being given in part in a blog post from the Lab which indicated the increase to Mainland full regions alongside the most recent Premium subscription offer (note: that blog post from the Lab has now been updated). So why has this change come about? It was this need to watch and wait following the initial deployment which had caused the Lab to decided to hold back on a public announcement until Thursday, November 3rd. However, users noticed the change almost as soon as mainland regions came back on-line following the Tuesday rolling restart, prompting forum posts and support enquiries as to whether there had error. As a result, Patch issued a short forum post reassuring people there wasn’t an error, although the decision was made to hold off on any official announcements until November 3rd, due to the arrangements already in place – including a live Designing Worlds session featuring Patch, who would reveal more and take questions. So given the Mainland changes are now deployed, a key question I had for Patch was: when would Private regions see their update. “We should have them up and running within the next couple of months,” he replied. In essence, the precise roll-out to private islands will depend upon the metrics gathered following the Mainland roll-out. And the reasons for the differences in the full region allowances between Mainland and private estates? “There are 2 reasons,” Patch explained. “The first is that Mainland regions have long been a slightly less costly, but also less feature rich product than private islands. But recently we rolled out the private region buy-down offer, which somewhat levelled the pricing between the products. So, we wanted to give a little something back to Mainland, and choose to give full regions there a slightly higher prim limit increase than private estates. “The second reason is that private estate full regions have an additional advantage over all the other region types,” Patch continued. “This allows us to offer the additional 10,000 LI allowance to private estate full regions, for a total of 30,000. There is some additional maintenance work that comes with this, hence the US $30 a month fee (per region), together with a one-off US $30 conversion fee to add or remove that option; but the offer will be available for any price level full region, whether it be an older grandfathered region, a newer bought-down region, or a regular priced full region, immediately the increase in land impact / prim allowance is rolled-out to private estates. Linden Home holders should now find they have 175 LI as their own to play with – as will users with 512 sq metre parcel on the Mainland, with other parcel sizes adjusting accordingly. The same will be true of private islands, once the update is fully deployed. In the meantime, the change to the Mainland was warmly received by most, with many land holders and content creators pointing to the home and garden / landscaping markets potentially gaining a significant shot in the arm as a result. 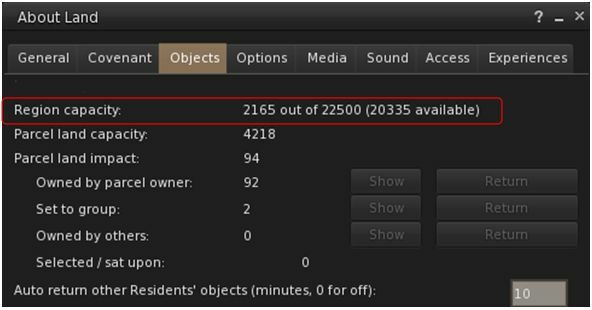 This is significant, as a hope at the Lab is that rather than everyone simply adding more objects to their land, the extra capacity will encourage more content creators to make use of optimised levels of details on their mesh creations, rather than using very high LOD values across all viewing distances, thus helping to lighten some of the current load on older systems. As we closed the conversation, I asked how Patch, as a long-term Lab employee and as a former resident, felt about the change. With thanks to Patch Linden, Pete Linden and Linden Lab. Update, November 3rd: the changes in prim allowances in full are now available in this post. 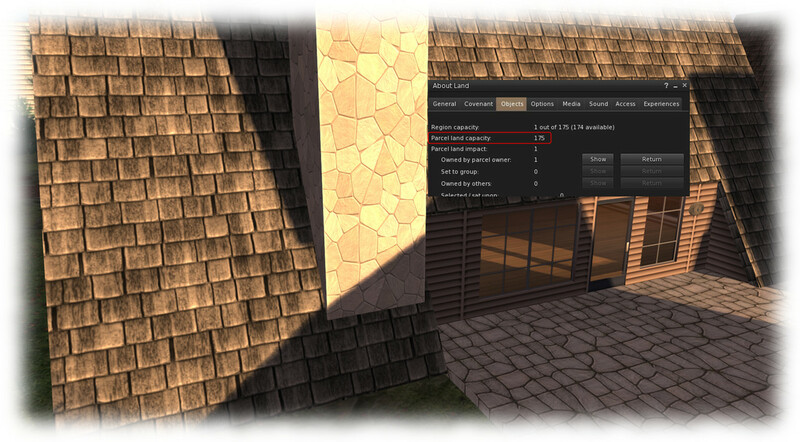 Premium members are entitled to a Linden Home and can own parcels on the Mainland. Now, we’re raising the limit on the number of prims you can use in those spaces. This means you will have more prims and creative flexibility to decorate and customize your own space. Land impact (object) capacity on Mainland Regions will go from 15,000 to 22,500 – that’s a lot more building capacity! In addition to this, we will further carry the prim limit increases to the private estate regions shortly. Keep your eye on our blogs for more information! An episode of Designing Worlds comes out later this afternoon which talks more in-depth about this new perk. We’ll update this blog once it’s available. (My emphasis on the last part of the statement). All things being equal, I’ll also have more to come around 14:00 SLT see the link at the top of this article. The blog post from the Lab confirms that Mainland full regions now have a standard Land Capacity / prim allowance of 22,500. TERMS & CONDITIONS This offer begins on November 3, 2016 at 8AM Pacific Time (PT) and expires on November 10, 2016 at 8AM PT. 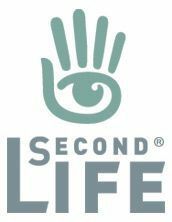 To qualify for this promotion, you must 1) have an existing Second Life (“SL”) basic account or create a new account, and 2) select monthly (every one month) billing for your SL account. The fifty percent (50%) discount will be applied to your first month’s bill and future months will be billed at the standard Premium Membership price (currently US$9.50 per month). For new accounts or accounts not previously upgraded to Premium Membership, after initial login through the Second Life viewer following upgrade to Premium Membership and: 1) following your first full week, the L$300 weekly stipend will be deposited to your account every Tuesday for the duration of your Premium Membership; and 2) after your account has been active for forty-five (45) consecutive days, the L$ sign-up bonus will be deposited to your account. As well as the discount, Premium members are also offered a new gift in the form of a laser-shooting Alpha Robot Avatar.